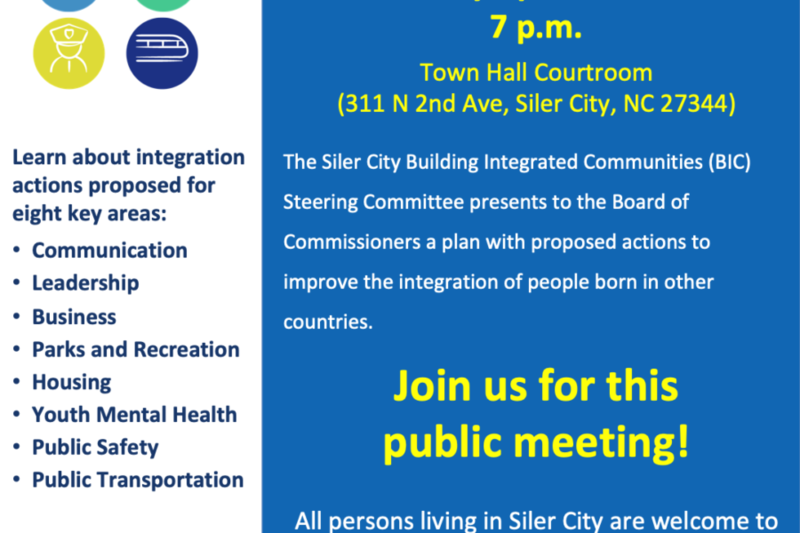 You’re invited to an important meeting with the Siler City Town Commissioners on Monday, April 1 at 7pm sharp. 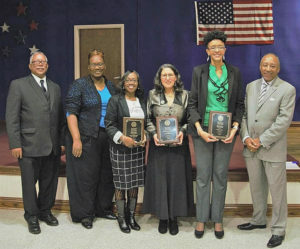 During the past 2 years, The Hispanic Liaison, in collaboration with the Town of Siler City and many other organizations, have participated in a program of UNC’s Latino Migration Project. The goal was to develop recommendations to the town to improve access to the services and opportunities from the Town of Siler City. At this meeting, we’ll present our recommendations to the town commissioners. Please join us to learn more and to show your support for our efforts. Spanish interpreting will be provided. Call us at 919-742-1448 if you have any questions. Please help families impacted by the ICE raids to reunite with their loved ones. We have raised $36,000 and only need $4,000 more to reach our goal! In just one week this February, ICE detained 297 immigrants in NC; the majority were from our region. Your donation will help families in Chatham, Lee, Orange, Durham, Randolph and Wake counties. The Liberation Not Deportation Fund is a joint effort between The Hispanic Liaison and El Centro Hispano to help families directly impacted by the ICE raids pay for legal representation. The fee to hire an immigration attorney ranges from $5,000 to $15,000. Can we count on your generosity to help these families? Thank you! Comments Off on A Heartfelt Thank You! Our heartfeld gratitute to each of the 142 generous donors who responded to our call for help this February. Together, they contributed $13,960 for The Hispanic Liaison to empower the Latinx community and advance the rights of immigrants. We are honored for their generosity and solidarity with our community and organization. As a small organization, all donations truly makes a difference. We are currently helping 15 families impacted by the ICE raids and more are calling for help every week. ICE arrested 297 immigrants across NC in just one week, the majority were detained in our region. 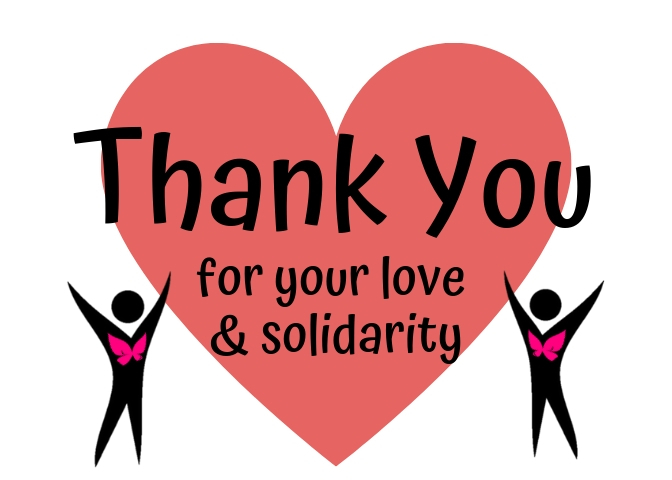 Mil gracias for your support! 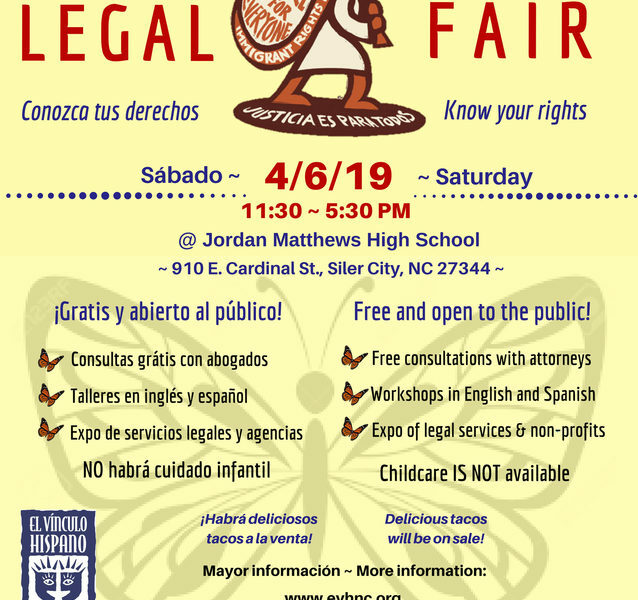 We hope to see you our 3rd LeGAL FAIR on Saturday, April 6 in Siler City from 1 to 5:30 PM. It’s free and open to the public. Want sponsor or volunteer at the Fair? Click here! Congratulations to the winners of our special drawing! For each $100 donated, the donor’s name was entered into the drawing. We had 98 entries! A BIG thank you to Shakori Hills and the Basnight Family! Martha Hernandez of Raleigh won 2 full- weekend passes to Shakori Hills Music Festival this spring! 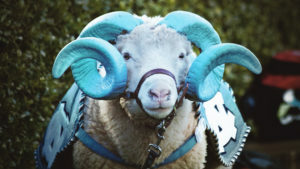 Rachel Valentine of Chapel Hill won the photo-op with Rameses, the UNC ram mascot! In just one week this February, ICE arrested 270 immigrants in our region; 25 were detained at a workplace raid in Sanford. Many Chatham families were impacted. We are heartbroken by the panic and suffering in our community and have huge tasks ahead. We’re helping families impacted by the raids and are planning our 3rd Legal Fair on Saturday, April 6 to offer free consultations with immigration attorneys and inform our community about their rights. That and a lot more with only 3 staff members. We are here to defend our community for the long haul. Can we count on you for $500, $250, $100 or $50 for our cause? Every dollar helps! Support families impacted by ICE raids and help them secure legal representation. For every $100 you give we will enter your name into a drawing to win one of these. With your help, we accomplished a lot last year! Partnered with families from Johnson’s Mobile Home Park and secured a settlement from Mountaire Farms including $8,300 in financial compensation for each of the 28 families who were evicted from their homes. 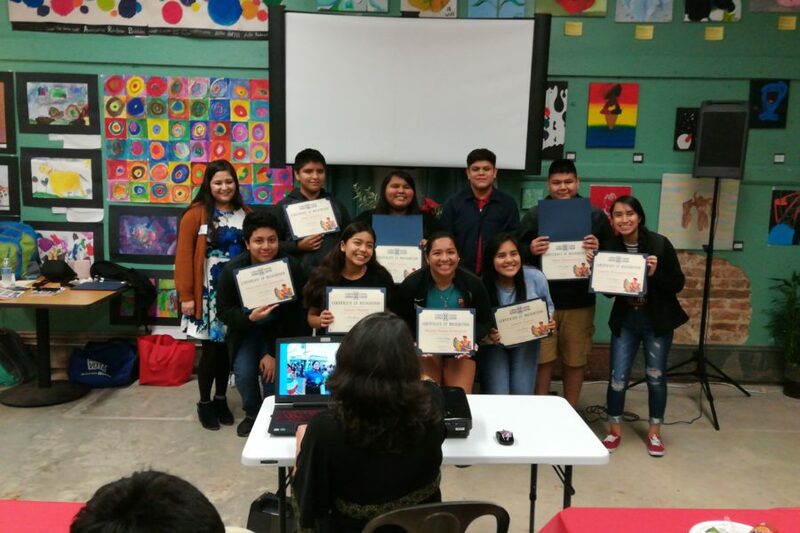 Orgullo Latinx Pride youth program empowered 37 Latinx high school students in Chatham to excel in school, pursue a higher education and develop their leadership skills. Contributed $10,000 in legal fees to help families fight unjust deportations. Just launched a new REGIONAL LEGAL DEFENSE FUND in partnership with El Centro Hispano for families impacted by the recent raids. Visit our Facebook page to contribute to this fund! 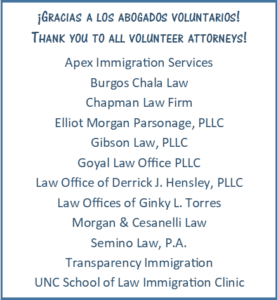 Hosted 2nd Legal Fair with 170 participants offering 45 free legal consultations with immigration attorneys, workshops and an expo of legal services and nonprofits. Awarded $2,125 in DACA renewal scholarships to 10 Chatham youth. Hosted our largest Hispanic Heritage Fiesta with over 1,000 participants, 47 outreach booths, parade of traditional outfits and many performances! 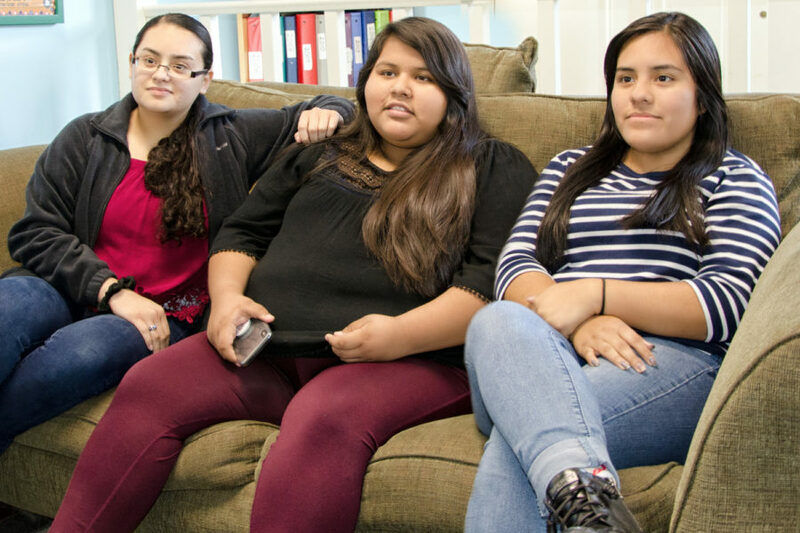 Orgullo Latinx Pride members, Cesia, Lenore and Noemi made the front page of the Chatham News + Record . We are proud of our youth for their candid and brave conversation about mental health issues impacting Latinx youth in our community . These issues are near and dear to our heart, Orgullo Latinx Pride works to empower our youth to overcome anxiety, depression and low self-esteem. For more information about our youth group, please contact Selina Lopez at 919-742-1448 or selina(at)evhnc.org. 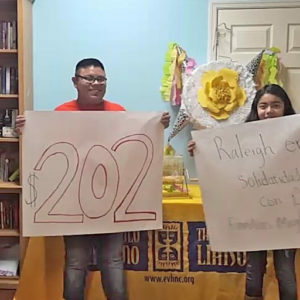 In less than two weeks, our youth group Orgullo Latinx Pride raised $202 to help families from the Migrant Caravan arriving in NC. The youth organized a raffle offering 3 prizes: $100 cash, two $25 gift cards, and a candy-filled piñata. Tickets were sold at $1 each. 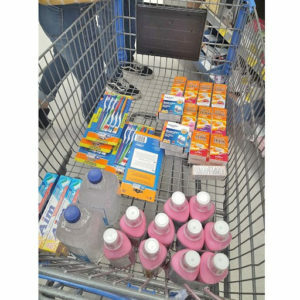 The funds were used to purchase basic provisions for the families and their children. 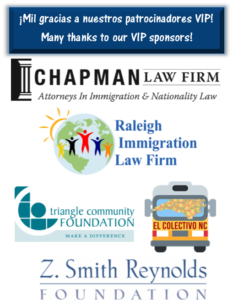 We partnered with Raleigh in Solidarity with Migrant Families to distribute the provision to the migrant families who were released from detention centers. 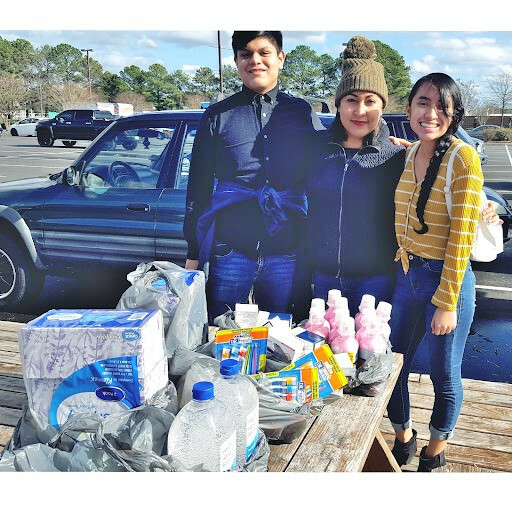 Youth representatives Lizbeth Ramos and Kevin Manzanarez, along with Selina Lopez, our Youth Program Manager, traveled to Raleigh to drop off the donations before Christmas. The raffle winners were announced on Wednesday, December 19 via Facebook Live. 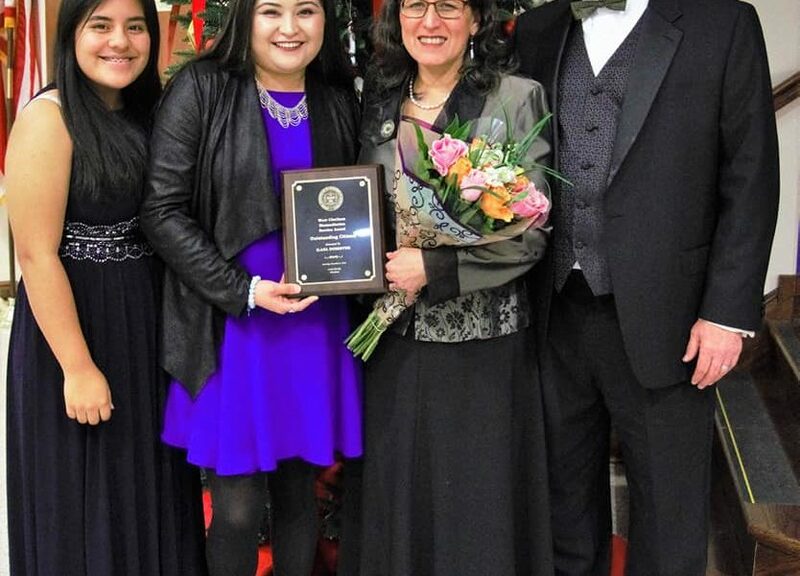 Congratulations to our executive director, Ilana Dubester, for the Outstanding Citizen Award from the West Chatham NAACP at their Humanitarian Awards Banquet on December 8, 2018 in Siler City. Ilana and our whole team are proud of this recognition for our advocacy work in the community. Congratulations Ilana, we are lucky to have a fearless leader like you! Comments Off on Thank you Fiesta Volunteers! We celebrated our wonderful Fiesta 2018 volunteers with a dinner on December 3 at Peppercorn in Siler City. The fabulous Chef Elena Gonzalez and Juan Carlos Estrada prepared a delicious taco dinner and pastel 3 leches for dessert. A huge THANK YOU to our volunteers for contributing amazing ideas, energy, talents and time to organize a beautiful Hispanic Heritage Fiesta. Thank you also to Mountaire Farms for donating the chicken for our dinner. If you’re interested in helping with Fiesta next year, call us at 919-742-1448 or email janet@evhnc.org. Happy Holidays! 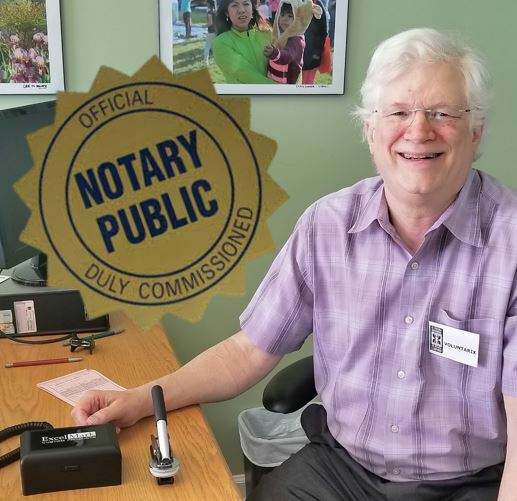 Our volunteer Todd Bishop is now a notary public! Todd is available on Tuesdays from 2 to 6pm at our office in Siler City. Thank you Todd for helping our community!